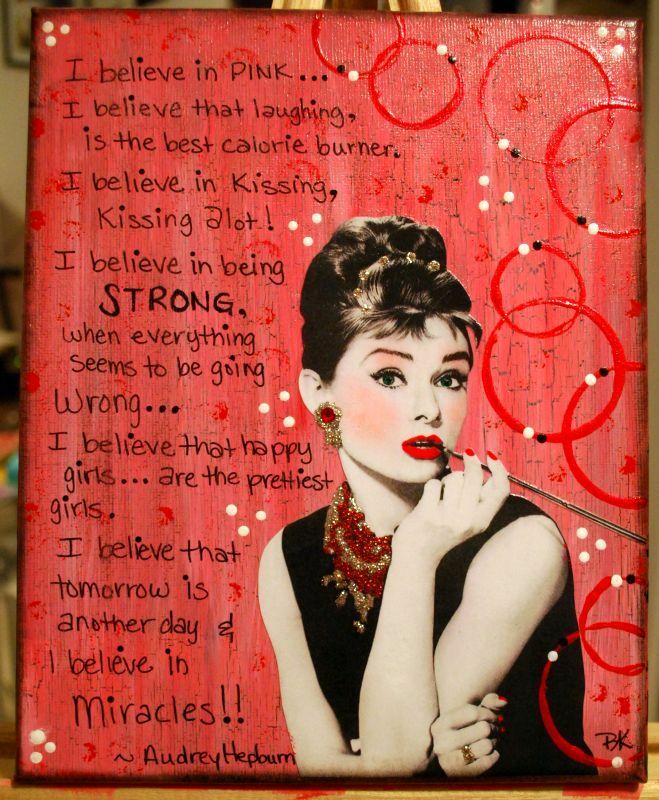 There is a great Audrey Hepburn quote, which sticks in my mind as “Happy girls are the prettiest girls” though the entire quote is longer and more fabulous than that. Yesterday I got to hug a friend with whom I’d stayed generally connected through social media networks. We used to do shows together. If I had to guess, I’d say it has been at least 3 years since I had seen her in the flesh, and DAMN did she ever look fabulous. She had always been pretty, but this was … MORE. “I’m Happy” she said … not with smugness, but with warmth. She was more beautiful in that moment than she had ever been. This morning I was laying in bed, thinking about this phenomena of happiness as a beauty secret. It could be the answer to why folks can’t pin down our ages. I have a birthday next month, and Mr. Rocks is 14 years older than me. No one ever guesses our ages. They are often guessed at a decade or more too low … but we are happy people. We have created the perfect life for ourselves and it shows … in our energy, and in our faces. However, as I lay there under my fluffy comforter (it was chilly this morning), I also thought about how and where we hear the phrase “I’m Happy”. Sometimes we hear it spoken defensively, as when people are having to push back against family and associates who disapprove of some action or choice. Or, we hear it delivered without conviction, by someone who has settled for a life they do not love. These deliveries, defensive and without belief, do not translate into fabulous beauty secrets or age-defying smiles. No matter how many times you say a thing, it isn’t true until you believe it to be true. Can I tell you again how nice it was to see my friend yesterday?